Assisted with our years of industry knowledge, we are able to present an elite array of Ultrasonic Thickness Measurement Service. Demanded in numerous industrial sectors, these are acknowledged for their reliability. Also, these services are highly appreciate by our clients and can avail them at inexpensive rates. 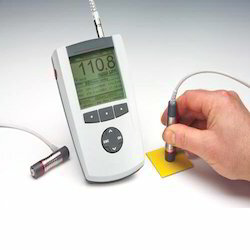 Leveraging on the vast domain expertise, we are engaged in trading and exporting Ultrasonic Thickness Measurement Services. Thickness measurement is the simplest measurement done with laser sensors. Thickness is the simplest dimension measured with non-contact sensors. If a material rests against a reference surface like a conveyor or table, one sensor is used to measure material thickness. Recommended for most of the steel structures, the Ultrasonic Thickness Gauge Measurement Services measured is compared with the standard section thicknesses. A reduction is measured in percentage. 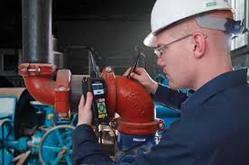 We have years of proficiency in Ultrasonic Thickness Measurement. With a perfect blend of manpower and latest mechanization, we offer highly professional services. In addition to this, our members have rich industry experience and ensure timely project execution. Owing to these factors, our services are widely acclaimed among our customers.